As educators, we want our students take an active role in their learning and explore what interests them over time. When asked how often this practice occurs within the classroom, a similar response is often resonated, “I want to BUT….We don’t have time” or “If we had more time, etc.” TIME is always a factor. So instead of having a "Yes, BUT" attitude let’s leverage the asynchronous video power of Flipgrid and have a "Yes, AND" attitude that empowers our students to take ownership of their learning. Whether you adopt “Genius Hour”, “20% Time” or “Passion Projects” the most important aspect of each of these concepts is to empower learners to take the wheel in the driver’s seat and begin a journey that is important to them. The students choose the destination, the reason, and route and you, as well as other teachers, students, and community members are there to support them on their journey. Leveraging Flipgrid’s capabilities can transform these amazing practices and allow your students to learn, share and grow anytime, anywhere and with anyone they choose. Savvy Tip #1: Set up a GRID specifically for your 20%, Genius, or Passion Project. This will be a special place for your students that will be filled with wonder, excitement, collaboration and impact. 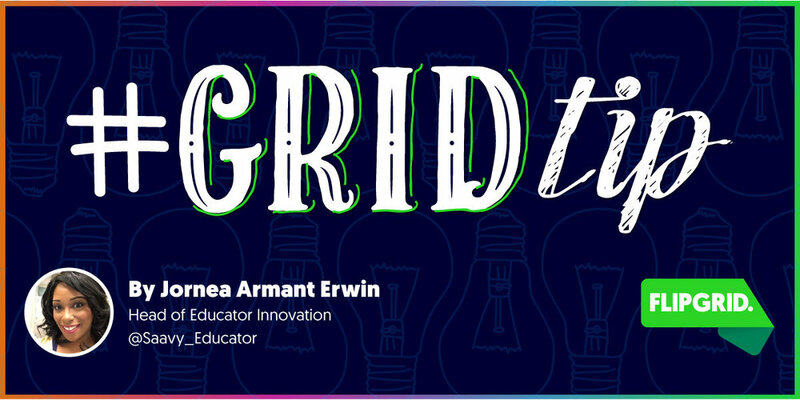 Flipgrid Classroom subscribers can even create a unique grid code when setting up the grid for students to easily remember and access the grid. Savvy Tip #2: Use the IDEAS feature in Flipgrid for students to share their wonders and ideas for 20% Genius Passion time. IDEAS are 15 sec. videos that are housed at the top of your grid, right above the topics. Your students can use this space to succinctly communicate their interests for the projects. Savvy Tip #3: After conferring with students 1:1 or replying to their IDEAS post, support the student in determining which idea is best for them to explore for their project. Once this is selected Spark the IDEA and it now becomes it’s own TOPIC! Yes, that’s right - each student will ultimately have a TOPIC on your 20% Genius Passion Project Grid! Savvy Tip #5: Allow students to share their projects and demonstrate their knowledge to others in the community, with other classes & through social media. This supports students building their own networks, broadening their perspectives, and personalizing their learning process. So remember whichever one you choose - 20% Time, Genius Hour or Passion Projects, go forth and EMPOWER YOUR LEARNERS! See you on the grid!